Today the Michigan Senate Transportation Committee reported out the Choose Life license plate bill by a vote of 3-1 (one prolife senator was absent). There was no debate on the bill, just a quick vote to approve it. The bill now goes to the full Senate for consideration. Also today, State Rep. Lana Theis (along with 33 additional co-sponsors) introduced House Bill 4467. The Miscarriage-Heartbeat Awareness Act will require that women considering abortion be given the opportunity to hear her baby’s heartbeat before the abortion. The bill also addresses an important trend of abortion providers pushing women to ever-earlier abortions using the abortion pill, even before a viable pregnancy can be confirmed. If the baby’s heartbeat cannot be detected, the woman must be informed of the rates of natural miscarriage before the heartbeat is detected. The overall miscarriage rate after a positive pregnancy test ranges from 15% to 25%. But after a heartbeat is detected, the miscarriage rate drops below 5%. How many women make a rushed, panicked decision before knowing if her child is even developing normally? As Rep. Theis stated in her press release today, "These are important statistics to be aware of, and providing them will allow her to evaluate the next step. 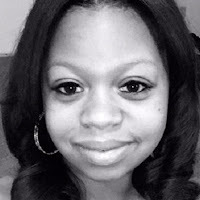 If it is possible for her to avoid the expense and trauma associated with a potentially unnecessary abortion, then that information should be provided to her." Finally, legislation to legalize doctor-prescribed suicide was introduced in the Michigan House today. HB 4461 and 4462 were introduced by Rep. Tom Cochran and Rep. Kevin Hertel. The bills were referred to the House Health Policy Committee, where they are expected to receive zero action (yet no doubt get the most media attention, despite our excellent track record of passing legislation over decades). In 1998 71 percent of Michigan voters overwhelmingly chose to keep our state's ban on doctor-prescribed suicide. A new video released by the Center for Medical Progress exposes more information about Planned Parenthood’s practice of selling fetal tissue, in this case intact brains. The latest video took place at a Planned Parenthood networking reception and begins with Dr. Deborah Nucatola introducing the undercover journalist (David Daleidin) to Dr. DeShawn Taylor. Taylor is the previous medical director of Planned Parenthood of Arizona. You may remember Nucatola who was featured in the first video released by CMP back in July of 2015. During their discussion, Taylor goes into graphic detail on how she delivers intact fetuses in late-term abortions to get the best quality body parts. Taylor explains to the investigators, "In Arizona, if the fetus comes out with any signs of life, we're supposed to transport it. To the hospital." An investigator asked, "Is there any standard procedure for verifying signs of of life?" Dr. Taylor replied, "Well, the thing is, I mean the key is, you need to pay attention to who’s in the room, right?" Apparently the only standard procedure is for covering up what they see as the mere inconvenience of infanticide. One of the more disturbing parts of the video is when Taylor goes into further detail of the abortion procedure, "My biceps appreciate when the dig[oxin] works." She continues by saying, "I remember when I was a [Family Planning] Fellow and I was training, I was like, Oh, I have to hit the gym for this," as she describing the force she feels in her biceps when performing a dismemberment abortion with forceps. Once again Planned Parenthood is trying to normalize the practice of abortion, this time by making sure their doctors hit the gym before they perform abortions; apparently live babies put up too much of a fight for the sake of comfort. Many people in our society have accepted abortion as something that should be legal because they are willing to avert their eyes from what abortion really is. Planned Parenthood knows that if the truth comes out, American support for abortion will dwindle as society begins to recognize that it is not blobs of tissues but in fact perfectly-formed tiny humans with intact organs who are being dismembered and sold. Today the Michigan Senate Transportation Committee heard testimony on SB 163 to create a Choose Life fundraising license plate. The plate has been frequently requested by prolife citizens. Proceeds from people who wish to purchase the plate would go to a fund to be distributed to programs to help women facing unplanned pregnancies. Bill sponsor Sen. Patrick Colbeck gave a moving testimony about raising funds to support women in crisis. This was followed by two opposing testimonies from the American Association of University Women (Michigan Chapter) and Planned Parenthood. Right to Life of Michigan provided the final testimony in support of the bill. Testimonies from the two groups supporting abortion were quite absurd. In an apparent attack on adoption, prolife pregnancy centers were referred to as "baby-finding centers" placed near college campuses to allow infertile wealthy white people to recruit and adopt white babies from a "better genetic pool of white college women." In real life these pregnancy centers rely heavily on donations and volunteers to provide free help to women in need, many of whom are non-white. Planned Parenthood's first line of testimony accused Right to Life of Michigan of "standing in the way of reducing abortions in Michigan." Yeah, you read that right. It's funny until you realize that Planned Parenthood performs more than 320,000 abortions in America every year. They perform 160 abortions for every adoption referral they do. They can't seem to decide between saying they want to reduce abortions or saying they are proud of them as a vital part of their mission. If abortion is a point of pride as your mission, why reduce it? Here's the real irony: Planned Parenthood opposes prolife citizens from voluntarily sending money to organizations that help women, but they demand profile citizens be forced to give them money. A committee vote on the bill is expected next week. Girl Scout cookies: does your money go to abortion? It’s that time of year: Girls Scout cookie season. Though many love Girl Scout cookies and the tradition that they bring, there is a history behind them that is not always talked about. Maybe this year you should hold off buying these cookies until you know a little more about the organization that you would be supporting. Do the Girl Scouts support abortion and Planned Parenthood? Girl Scouts of the United States of America (GSUSA) is a dues-paying affiliate of the World Association of Girl Guides and Girl Scouts (WAGGGS). WAGGGS has participated in several international conferences and United Nations events that support a pro-abortion agenda. At these events they have been joined by groups that provide or support abortion such as the International Planned Parenthood Federation, Marie Stopes International and the United Nations Population Fund. There are also other numerous concerns about GSUSA activities. On their website, GSUSA explains that direct sales from Girl Scout cookies stay with the local councils that sell them. If you ask them about where they stand on the issue, they will tell you the same thing, often making the argument that money raised through local cookie sales stays local. There are two problems with that. First, several local councils have relationships with Planned Parenthood. Yours might be one of those. Second, their website states that GSUSA collects royalty fees from bakers they license to make the cookies, and those fees are based on their gross annual sales. Therefore very cookie you buy means GSUSA gets more money, some of which will go to supporting abortion. Before you shell out $4 for a box of thin mints, think twice about the organization that you are supporting. Is that few minutes of satisfaction worth helping supporting organizations that support abortion-on-demand and population control? A prolife sidewalk counselor in Michigan has won a victory in court against one of the most notorious abortion clinic chains in Michigan. The U.S. District Court for the Eastern District of Michigan has ruled against Northland Family Planning Clinic in the case of Thames v. City of Westland. The ruling stated that Kimberley Thames was falsely imprisoned and arrested after peacefully praying in front of the abortion clinic. It found the CEO of Northland, Renee Chelian, and one of its employers were conspiring with the City of Westland to violate Kimberley’s rights. The defendants will pay Kimberley $2,000 for their wrongdoings. Chelian made news most recently when an undercover journalist recorded her macabre joking about hauling the bodies of aborted babies up north for a bonfire. The case came after the events on August 27, 2016 when Kimberley went to the Northland facility in Westland to be a witness for life. She silently prayed on the public sidewalks surrounding the facility. She was not violent, she did not have weapons; all she had on her was a rosary and a prolife sign. After a while, Kimberley briefly left the area to use a nearby restroom. Upon returning, she noticed that several police cruisers had arrived at the facility. She had no idea why they were there. One of the officers approached her and asked if she told the security guard that she was going to bomb the clinic. Kimberley quickly rejected this statement. But little did she know that a Northland employee and the security guard called 911 to make a false claim that she had threatened to bomb the Northland facility. At the scene of the alleged crime there was also a nun present. Officers were able to interview her and use her as an eyewitness. The nun explained that Kimberley never made any threats and that the guard was lying. However, the officers ignored what the nun had to say. The officers took Ms. Thames into custody, telling her that she was “under arrest for making terrorist threats.” The officers placed Ms. Thames in handcuffs, put her in a police cruiser, and brought her to the Westland police station, where she was detailed for nearly three days. As just a peaceful protester, Kimberley had her rights taken from her. Thankfully the courts were able to defend the right to freedom of speech and peaceful assembly to provide justice for Kimberley. If you have any questions one what your rights are when it comes to prolife picketing, check out our brochure on it. Recently President Trump made an informal proposal to Planned Parenthood: they could continue getting federal funding if they decided to stop performing abortions. Planned Parenthood’s CEO Cecile Richards fired back, proving what prolife people already knew about Planned Parenthood: abortion is too central to their mission to ever abandon. Taking to Twitter, Richards said that they are "proud" to provide abortions, which are "a necessary service that’s as vital to our mission as birth control or cancer screenings." Planned Parenthood and the tax dollars they receive are inseparable from their abortion mission. We know that Planned Parenthood lies about the services that they provide. For example, they don’t provide mammograms, most locations don’t provide prenatal care and they also refuse to provide women with ultrasounds unless they are getting abortions. Their 3 percent gimmick is designed to mislead people when convenient for them to downplay abortion. So how many women are using Planned Parenthood? 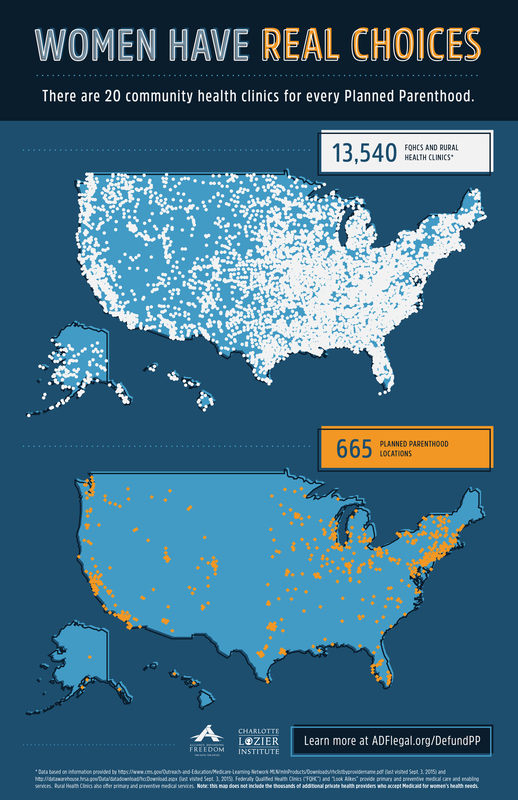 In 2015 Planned Parenthood reported seeing 2.5 million clients. In the United States there is about 62 million women of reproductive age (ages 15 to 44). This means that only 4 percent of women who are of reproductive age will go to a Planned Parenthood in a given year. Many of those women are only going for services involving Planned Parenthood's vital abortion mission. The 4% figure gets even smaller when you look at how many total women there are living in the United States. In 2014 there were 125.9 million women. Less than 2 percent of them used a Planned Parenthood during the calendar year. Roughly half of women are prolife, and are forced to support an organization whose core mission includes abortion. Why should we force those women to violate their most deeply held beliefs in order to provide care to 2 percent of women—especially when there are much more numerous and comprehensive alternatives available? The only mission of these alternatives is caring for patients. It is past time to stop coercing American taxpayers into helping Planned Parenthood advance their abortion mission.